AS220 Industries’ Community Printshop To Host 3 Events in 2019. PROVIDENCE, RI (March 2019) — AS220 Industries is thrilled to announce the Artists in Residence for the 2019 Drink+Ink season. 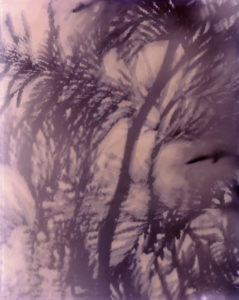 This year’s Artists in Residence (AIR) are Allison Bianco [April], Madison Emond [July], and Kate Aitchison [September]. As part of our ongoing seasonal Drink+Ink series, each AIR has designed an evening of printing and making at the AS220 Industries. The first of these ticketed events will take place on Thursday, April 25th, from 6:30pm – 8:30 pm. Drink+Inks are designed to be informal and casual events where members of the public get hands-on experience on our printmaking and digital fabrication equipment. 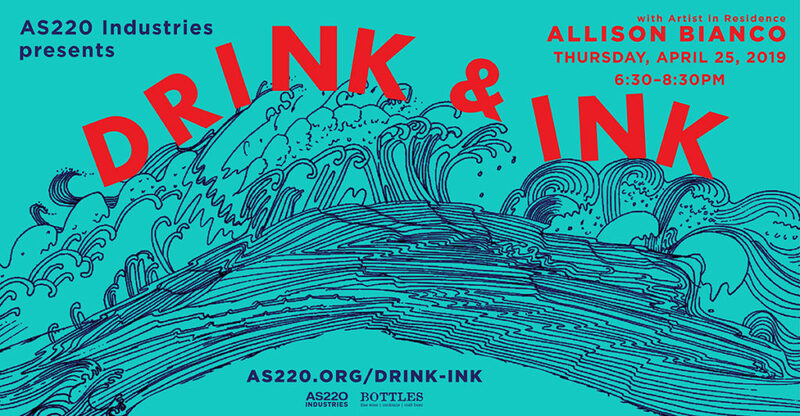 Drink+Ink is presented in partnership with AS220’s long-time supporter, friend, and sponsor, Bottles Fine Wine and support from Paper Connection International. The Drink+Ink series launched in April 2016 and, since then, has given over 500 people the opportunity to explore the AS220 Industries facilities! The goals of Drink+Ink are to introduce members of the public to our resources, our members, and different types of fabrication and printing processes. 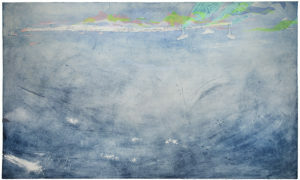 The Drink+Ink AIR program is an opportunity for artists, who are part of the AS220 membership, to exhibit their work to a larger audience and create a fun, participatory night of making. This year’s AIR were selected by a committee of Industries community members and AS220 staff. Tickets for April’s Drink+Ink will be available starting on Thursday, March 21st at 8:00 am. For more information about the event please visit, as220.org/drink-ink. AS220 Industries, located in downtown Providence, provides the public with affordable access to a Community Printshop, Fab Lab, Community Darkroom, and Media Arts Lab. For more information please visit, as220.org/drink-ink, or contact Edwige Charlot at 401.831.9327 ext. 202 or via email at membership@as220.org.